Greece's premier downtempo and lounge label Melting Records is branching out into like-minded genres with a new series titled MRSPECIAL. The releases in this series are indeed special, featuring a focus on a different style of music each time. This inaugural issue – Humble Dubbers – tackles the intertwining worlds old-school dub, roots, and reggae steppers, as seen through the Melting Records looking glass. Veteran dubwise producers and irie new names rub shoulders on the compilation's ten tracks, coming together to give the listener a mind-expanding journey along a space-echoed pathway. Included, for the first time on vinyl, is "Nine Years" from Ticklah, a renowned producer who worked on Easy Star All-Stars' classic The Dub Side of the Moon. Easy Star All-Stars are also represented by bassist Victor Rice, contributing with a heavy dub track. Canada's Dubmatix took some time out from his packed touring and production schedule to deliver an exclusive rolling and blunted-out track for the compilation. And longtime German dub stalwart Burnt Friedman along with The Nu Dub Players provides a sparse and dreamy offering track that opens the collection with style. 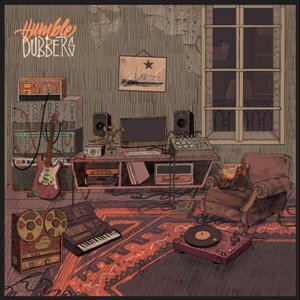 Other artists featured on Humble Dubbers are Kabanjak (one half of Ancient Astronauts), YesKing (BBE Records), Shimi Sonic from Israel, Skinshape from Horus Records, Lo End Dub from Spain, Colman Brothers from UK, and up-and-comers Resonators (Wah Wah 45s). With this variety of producers it is striking how cohesive Humble Dubbers remains, giving the listener a satisfying overview on the state of nu-dub. The compilation also fits mightily within Melting Records' catalog, as lounge and downtempo elements are sprinkled throughout for a distinctive take on the sound. In all, Humble Dubbers vibrates and fascinates, from its rumbling low ended basslines to the crisp sizzle of flying hi-hats. Selectah, bring the rewind! Artists featured : Ticklah (US), Victor Rice (BR), Dubmatix (CA), Burnt Friedman (DE), Skinshape (UK), Shimi Sonic (IL), Lo End Dub (ES), YesKing (UK), Kabanjak (DE) and Resonators (UK).